Even though it wasn’t called “YA” at the time, I’d have to say “Little Women.” I was mad for those March girls! I wanted to be each and every one of them (well maybe not Beth. She didn’t have such a happy ending… although I did have scarlet fever in college, so I could relate). I’m the oldest of 8 children and my younger siblings were always, always wrecking my stuff. My brothers would take my books and turn them into “stepping stones” to avoid the “alligators” in the hallway. I thought I had it bad, but then what Amy did to Jo’s manuscript! “Little Women” made me want to write, to hopefully make other young readers feel as passionately for a story as I did. My kids are my biggest influence. I always want to be writing what they want to read. When my oldest was 14, we had a mommy-daughter outing to see Twilight (after having read the book together), and it was just such a great day. When we got home, she said, “Write me a ‘Twilight!’ It has to take place in Scotland though, and I want my character to die!” Toward a Secret Sky was born that very night (although I refused to let her character die!). Did you learn anything from writing TOWARD A SECRET SKY and what was it? I thought I knew quite a bit of Scottish history and lore from being married to a Scot for over 20 years and having been there so many times, but every time I sat down to write, I learned something new. I could do nothing but write books that take place in Scotland and I’d have material for 100 books! There’s just something so magical about a tiny place (Scotland is just half the size of my home state, Missouri!) that’s been occupied for thousands of years. Every step you take, you’re walking on the bones of history. Thousands of stories, both old and new. If you haven’t been, I highly recommend it! It’s every bit as amazing as you think it’s going to be… and then some! For those who are unfamiliar with Maren, how would you introduce her? Maren is every girl: a normal teenager from the Midwest thrown into abnormal circumstances. She isn’t a beauty queen or a badass. She isn’t particularly talented. She doesn’t even think she’s very strong. And she doesn’t want to be. But life has other plans for her. I think she embodies how all of us grow and find our strength when circumstances force us to. You hope you’ll never be tested, that you can sit at home and watch Netflix and never have pain in your life, but that’s not how it works. We all go through terrible things, but in the end, they shape us into who we were meant to be. What part of Gavin did you enjoy writing the most? I loved writing every bit of Gavin because he is so based on my husband; the same mannerisms, same jokes, and the same build, actually. If you could introduce Graham to any character from another book, who would it be and why? I would introduce Graham to the rich and powerful Jardine family in Vic James’ “Gilded Cage.” I think he’d fit right in with their elegance and swagger. Ally Condie and Ally Carter because they are both my absolute favorite writers, and they are insanely generous and wonderful with advice and encouragement! 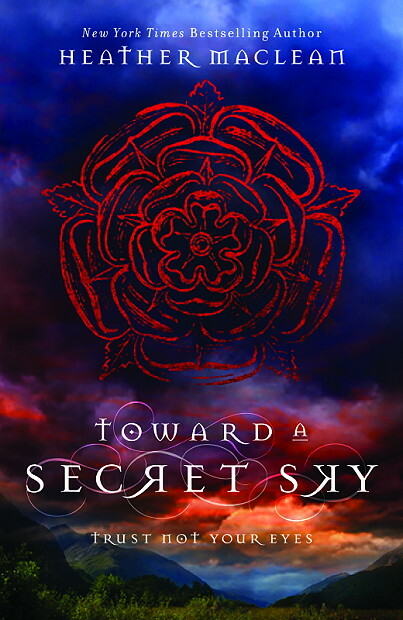 Published books: Toward A Secret Sky is my 14th! But my first fiction! I’m almost finished with 2 other fiction novels (one YA, one Adult), and am working on the rest of the Secret Sky trilogy as well. Life is long, and you will have time for everything. For three different careers if you want. And relationships, and kids, and travel. Take a breath. You’ll get there. To wherever it is you want to go. I promise. My very first boyfriend is actually in the book! His name was Adam, he asked me out in 5th grade, and he called me “Quarter Pint” because I was super short and half the size of Laura Ingalls on Little House on the Prairie (whom they called “Half Pint”). I left school for a day to get a mole removed from my chin, and he broke up with me when I got back because he said he liked the mole! It was horrible! And I was a late bloomer, so it wasn’t until I was 15! I was set up on a blind date for a formal dance at our school. That I wasn’t allowed to go to, so I did the whole, “I’m spending the night at Dione’s” thing, then this boy picked me and Dione and her date up in his bright blue IROC-Z. We actually passed my mom in her minivan on the road, and I had to crouch down! After the dance, we parked, he turned on the Guns ‘N Roses and went in for the full French kiss. I remember thinking his tongue was like a helicopter blade and made me dizzy. He was a model though, and super cute, so I was happy, if not impressed. I was a little worried though that all kisses would be like that, but thankfully they weren’t! When I turned 6, we drove down to Walt Disney World on my birthday, and right before we got into the car (for the 18-hour drive), I got a Princess Leia doll with the real hair buns. Is there a happier day? My first job was being a waitress at the nursing home at the end of my street when I was 15. It was a trip because I did not like old people. I wouldn’t even go with the Girl Scouts to sing at the retirement center; I’d pretend to be sick those days. But my mom forced me to get a job, and it was the only one I could walk to. It was quite an education. One gentlemen used to ask for the same thing every day: “You! On toast!” I didn’t even know what that meant. I grew to love the all though, and one day that same man and his wife got all dressed up in their Sunday best and walked into the middle of our neighborhood pond and killed themselves. She had gotten a terminal diagnosis, and he couldn’t take care of her, so they left the world together, holding hands. I still cry thinking about it. We didn’t get tips or anything, just minimum wage, and for some reason, the kitchen staff was full of these guys in their early 20s who were in a heavy metal rock band. The lead singer used to wear his hair net over his face when he washed dishes, and he wrote me a song, and asked me to run away with him. He was 22, and I was just 15! I was flattered, but I stayed put. That time. My first airplane ride was when I was 8, all alone with my sister who was 6. My mom sent us to visit my aunt Debbie in California. I don’t remember being scared at all, just fascinated by the clouds. The 1950s! Because I love the fashion, and those pointy, missile-shaped bras would have come in so handy for my little late-bloomer self! Travelling 50,000 miles around the world with Sir Richard Branson in 2004 for an adventure reality show when I was a mom of two. I did crazy things in college, but I didn’t think I still had it in me once I had kids. I rappelled out of Blackhawk helicopter in a Moroccan sand storm, did a 300-foot freefall next to Victoria Falls, capsized in Class V rapids on the Zambezi River, and was the first civilian mom to go to Zero G on the “space plane” (aka “the vomit comet”). In real life, usually in the woods behind my house, strung up in a hammock, or at the local Panera typing away furiously on my bright green laptop (while talking to myself). 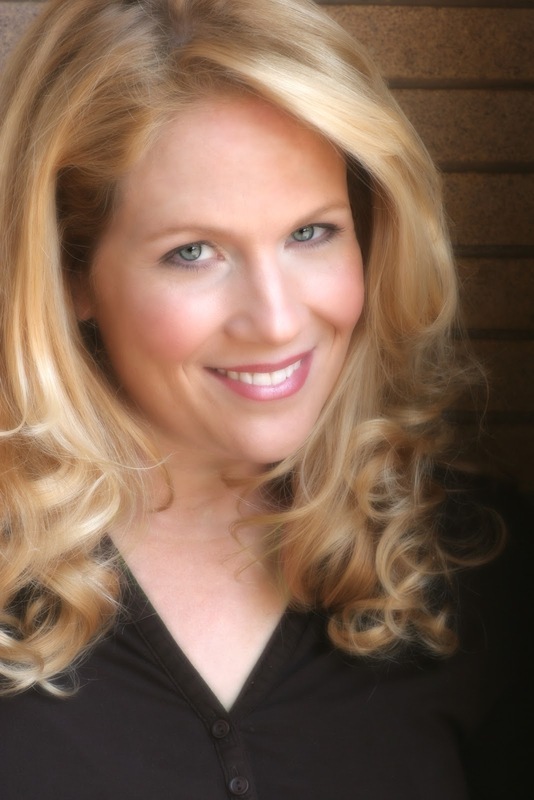 Online, I’m a Twitter junkie, but my home base is: www.heather-maclean.com. While I was content to stand at the balcony’s edge until the party was over, Anders found me and had other plans. “It’s our very own American princess!” he said, sucking on a cigarette and blowing smoke above his head. “I prefer ‘queen,’” I replied. “And you know smoking kills.” Even though he acted like a pig, there was no denying Anders was attractive. Aggravatingly so. “Eventually, everything does,” he said with a smile, taking another drag. “Well, it’s disgusting, anyway,” I retorted. “Ugh, I would never kiss someone who smoked.” I turned back to the garden as if I couldn’t be bothered to continue our conversation, but inside, I was reeling. Talking about kissing with a gorgeous guy, even if he was smoking, was titillating. “Your mouth is already completely ruined for the night,” I said. We were definitely flirting now, and I was sincerely enjoying the rush of power it gave me. “What about tomorrow?” he asked. “So you wouldn’t kiss me, even after I gave up smoking for you and everything? I’m crushed.” He took a few exaggerated steps backward, clutching his heart. Like all the guys in Scotland, his accent made him a million times more gorgeous. He bent his head and gave me an impish smile, making him really hard to refuse. What could possibly be the harm of a little dancing? Thank you HEATHER MACLEAN for making this giveaway possible. 5 Winners will receive a Copy of Toward a Secret Sky by Heather Maclean. I really want to read this. Thanks so much for the chance to win.